Elsie Street knows how to throw anything but boring block parties. 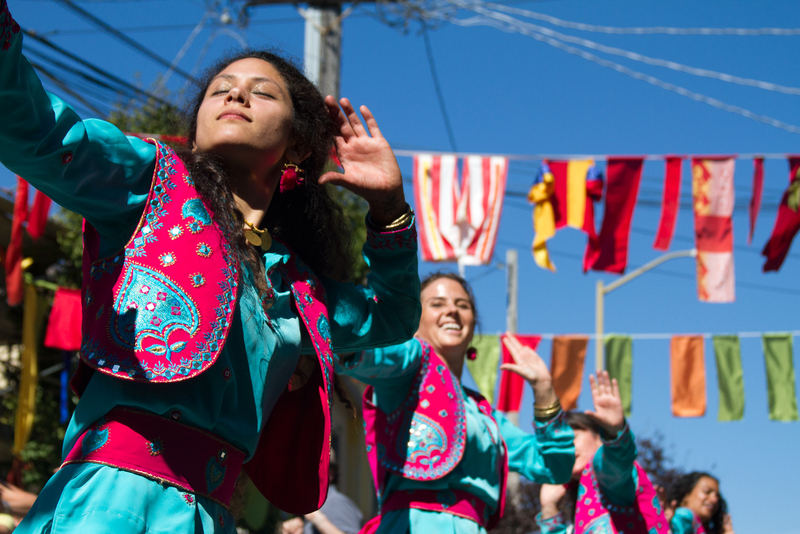 Today’s 7th annual block party not only had a potluck, bake-off, bouncy house, and piñata; it was also adorned with Bhangra dancers from the San Francisco-based Duniya Dance and Drum Company, who performed three dances as well as taught the crowd how to get down. For those not in the know, Bhangra dancing originates from the Punjab region of northern India. Can anyone out there please help me find Alina the hat lady who owned our “only” hat store in the mission. She had a store on 14th and Valencia right next to the Triumph dealer. Today there is a sunglass store there with refurnished wooden floors (of course). I wish to contact her since I want to buy more hats if possible. At the very least please get me an email so I can thank her for eight maybe nine years of selling hats to us!